Cars of Cuba 2018 presents 16 months of these eye-catching vintage models, captured on the island by award-winning travel photographer and Cuba expert Christopher P. Baker. Thanks to its decades of trade embargo, Cuba is an automotive time capsule with a unique and insular car culture. Instead of the latest and greatest machines you might see elsewhere, pre-1960 classics are a ubiquitous sight here -- lovingly and creatively restored, maintained, and customized. 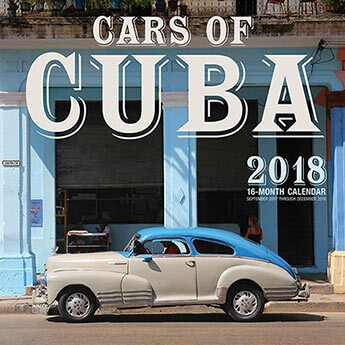 Cars of Cuba 2018 presents 16 months of these eye-catching vintage models, captured on the island by award-winning travel photographer and Cuba expert Christopher P. Baker.